One of my main goals in creating this podcast was to help Celtic bands make new fans and sell more albums. But the business is changing. So I created a Top Irish & Celtic Music playlist on Spotify to reflect that change. Every couple o'weeks I update the playlist with your favorite songs and tunes featured in the latest episode. And of course, I will also compile your favorite music into the Celtic Top 20, featuring the most-popular songs of 2018. Check out the playlist. Then vote in the Celtic Top 20 to help these bands make new fans. Do you have a quick and easy way to listen to the podcast? Yes. The show is available in every podcatcher. But we also have our own Irish & Celtic Music Podcast app. And it's free! Visit our shop to download the app today. I want to thank our newest Patrons of the Podcast: Keriann Noble and Tracy Beedy who raised their subscription. Paul emailed: "Hi Marc, I have just rediscovered this music. I love your podcasts and basically tell everyone I meet about you and the podcast. I have friends that play Irish and Celtic music. Because of them, I found you and because of you they found you. I have told them about the podcast. I 've told many many more and will continue. I download and purchase the music. Thanks for what you do." Scott McCreary emailed: "Maidin mhaith Mark, I have the rainy day episode playing while assembling a birthday gift for my grandson and was excited to hear on of my favorite High Kings songs (The Rising of the Moon). I just saw them in concert in Asheville NC a few months ago. It was a great event. Finbar Clancy’s sister, Aoife was there and sung a song with them. She of course is with Cherish the Ladies. It was a delight meeting her and the lads. What a great bunch of guys. And the music they get out of their instruments is amazing. 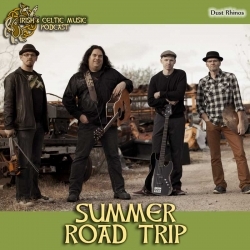 I appreciate your podcast and all you do for CelticMusic. Go raibh maith agat as an ceol Mark. Is maith sin. P.S. if you are ever get to South Carolina let me know, I would love to have a pint with ya." Dawn Davis emailed a photo: "Thank you... I did fill out and submit the form, and will mail the CD to your address. I am a patron, enjoy the Podcast immensely, and appreciate all you put into it; with babies, trips, and allergies! 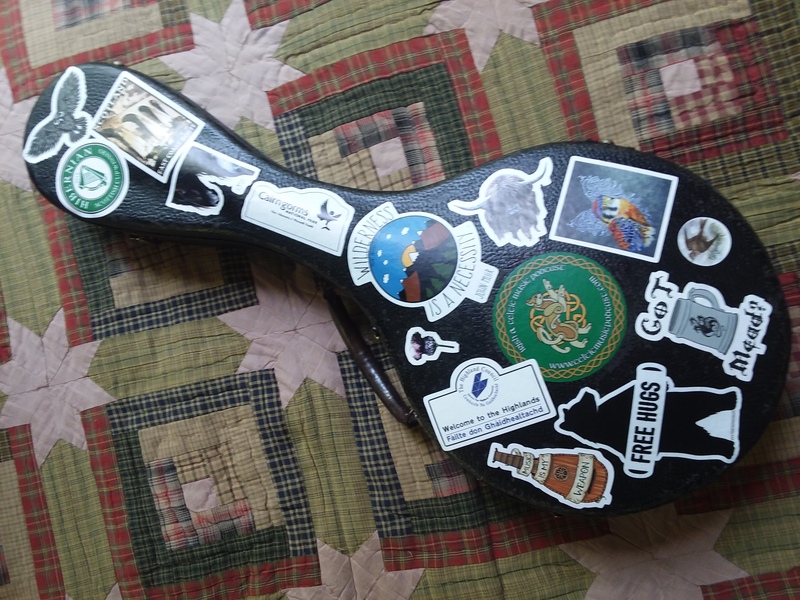 Note the sticker in the center of everything..."
Phil Hartline emailed a photo: "Slainte! Today I have downloaded the podcast for the Celtic top 20 tunes for St. Paddy’s Day (show 349) and will listen to them in my shop. 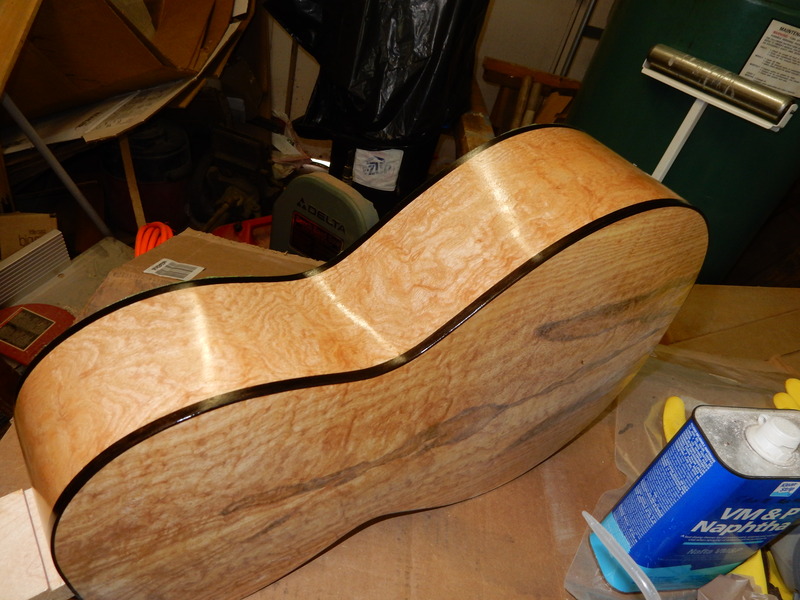 I am working on finishing a guitar build, and it is so nice to have some inspirational music going while I work. Thanks!"